Starring iconic actress Isabelle Huppert in a career-defining role, Elle is already one of the most acclaimed films of the year. Upending our expectations, Michèle begins to track down her assailant, and soon they are both drawn into a curious and thrilling game, one that at any moment may spiral out of control. 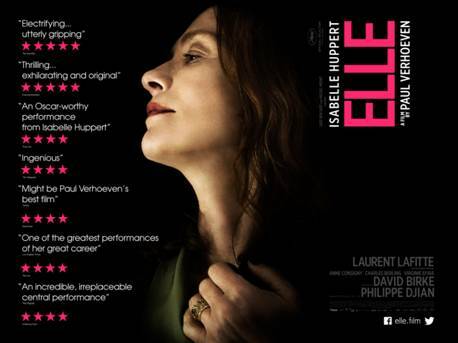 From legendary filmmaker Paul Verhoeven, Elle is a gripping psychological noir thriller. Exhilarating and multi-layered, the film recalls the ambience of Hitchcock, De Palma and Polanski, with a thrilling cerebral edge.